Christopher LaRosa’s music exhibits a fascination for temporal perception, human aggression and compassion, and technology. His music has received performances throughout North America, Europe, and Asia by ensembles such as the Seattle Symphony Orchestra, Suzhou Symphony Orchestra, Hartford Symphony Orchestra, United States Marine Band, Boston New Music Initiative, CEPROMUSIC, Genesis Chamber Singers, premier university ensembles, and by soloists such as pianist Thomas Weaver, percussionist Gregory LaRosa, and organist James Kibbie. LaRosa’s electronic music has received performances at the Society of Electro-Acoustic Music in the United States, Seoul International Computer Music Festival, and Electronic Music Midwest. 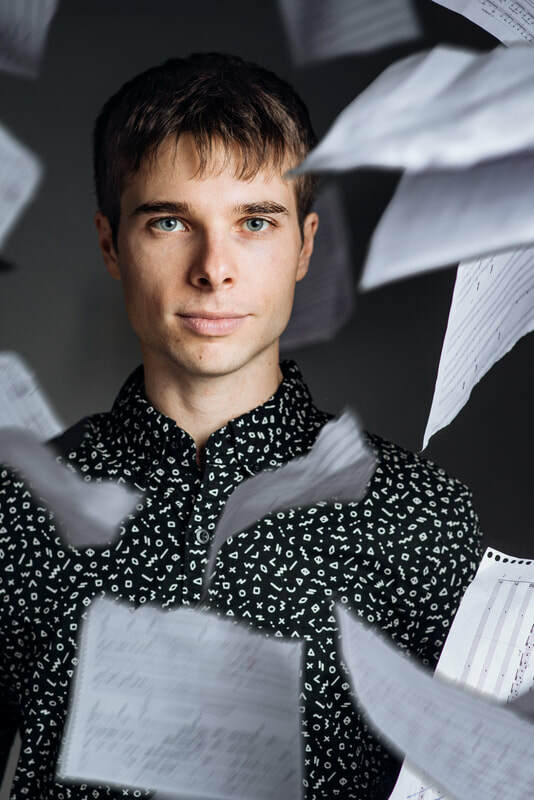 He has received commissions from the American Guild of Organists, Atlantic Coast Conference Band Directors Association, Georgina Joshi Foundation, and Hartford Symphony Orchestra. LaRosa was recently a winner of the 2018 Jinji Lake Composition Competition. LaRosa holds a Doctor of Musical Arts from the Indiana University Jacobs School of Music.